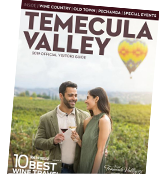 Visitors to the Temecula Valley Southern California Wine Country can relax as they experience one of the regions numerous day spas, full-service resort spa opportunities, and specialized treatments influenced from the region’s wineries. Whether you are looking for a couple’s massage to celebrate an anniversary with the one you love, a Vino Vinyasa Yoga Class to stretch and sip your way to health, or a Champagne facial to add some bubbly rejuvenation to your body and soul, the spas of the Temecula Valley offer just what you need to relax and erase the stress of the everyday. Grab your girlfriends, your love, or just yourself and take advantage of the spas in Temecula.